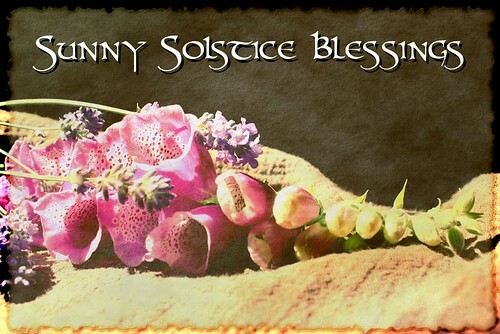 Sunny Solstice blessings to you all! Exactly ten years ago today, I celebrated my first Pagan ritual. The sun was high, the wind was lazy, the earth was warm beneath our feet, and the bugs were out in swarms after a wet spring! 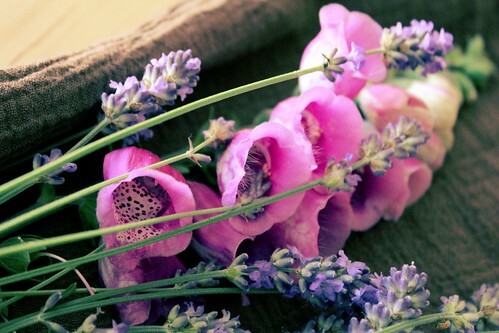 We shared bread, poured libations of water and made offerings of lavender and foxglove. This year, I gathered lavender and foxglove from the garden in front of my apartment building, on the other side of the continent from that first solstice celebration. Traditions continue, memory endures. I’m looking forward to the next ten years! In the meantime, here’s a favorite from my Summer Solstice Playlist. Enjoy!